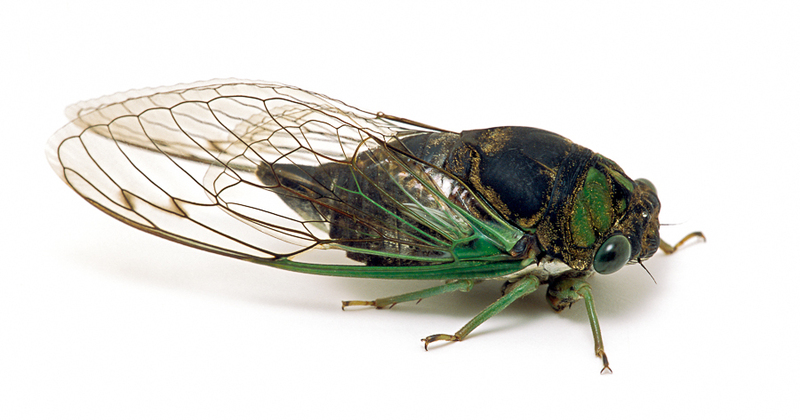 Song of a Swamp Cicada (scroll down for explanation and additional recordings!). 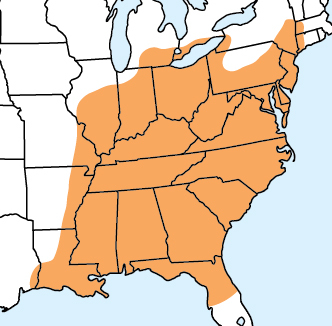 The Swamp Cicada is the only eastern species that is frequently found on low weedy vegetation and shrubs in swampy or marshy habitats, as well as in dry upland mead- ows and overgrown fields. 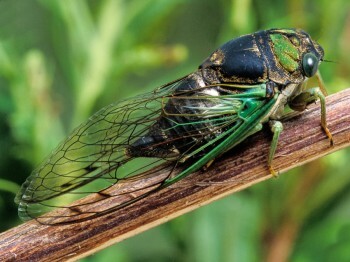 Swamp Cicadas are dark-bodied, with bright green patches on their heads and prominent blue-green veins on their wings. It should perhaps be renamed “Morning Cicada” because of its striking habit of singing from early morning until noon, with very little singing in the afternoon. Song: Begins with a soft buzz that gradually changes into a pulsating drone that increases in volume to a crescendo, and then gradually tapers off before ending abruptly. Song length is about 10–15 seconds, with a peak frequency of around 6 kHz. Sonogram of a Swamp Cicada. © Wil Hershberger.